The move would raise approximately $380,800 per year from the university’s 7,000 undergraduate students starting during the fall 2020 semester. 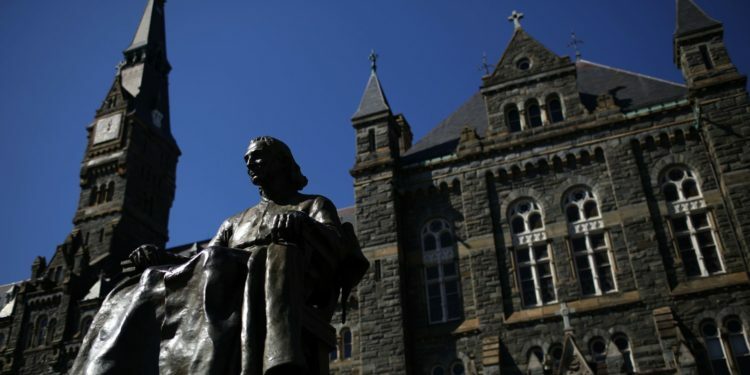 For the 2019-2020 school year, Georgetown’s undergraduate tuition is $27,720 per semester, or about $55,440 per year, making it one of the most expensive schools in the country. Georgetown has one of the wealthiest student bodies in the country. According to analysis by The New York Times, the median family income of a student from Georgetown is $229,100, and 74% come from the highest-earning 20% of American households. At its founding, Georgetown relied financially on profits from Jesuit-owned plantations in Maryland. According to The New York Times, when the school was in need of funds in 1838, the Jesuit priests who founded and ran the college decided to sell the slaves on these plantations. The sale of those individuals resulted in the separation of numerous families and forced hundreds into horrific conditions. It raised the 2019 equivalent of roughly $3.3 million for the school. Today, the school’s endowment is valued at $1.66 billion. In 2016, Georgetown decided to provide admissions preference to the descendants of the slaves sold by the school. “It makes me feel happy that we, as students, decided to set a precedent for the betterment of people’s lives,” says Thomas, who is himself a descendant of slaves sold by the university.